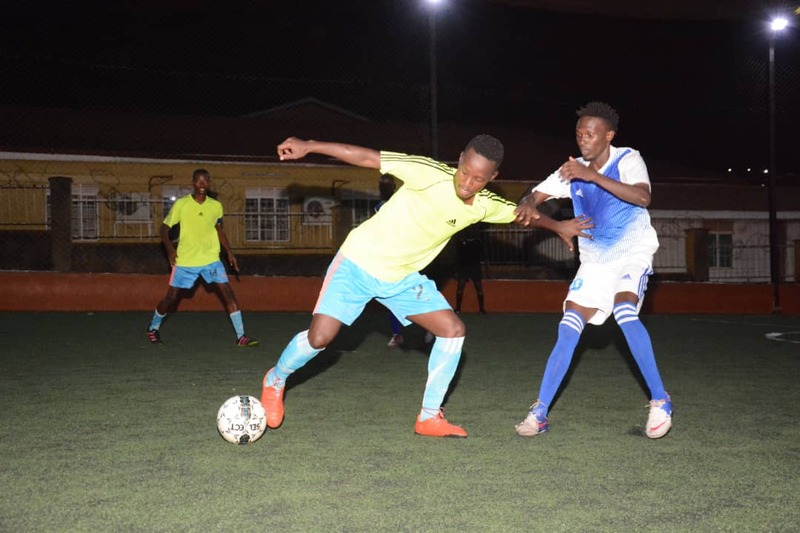 MENGO – Dream and Crown will be the two teams to contest the 2018/19 Futsal Uganda Cup final. 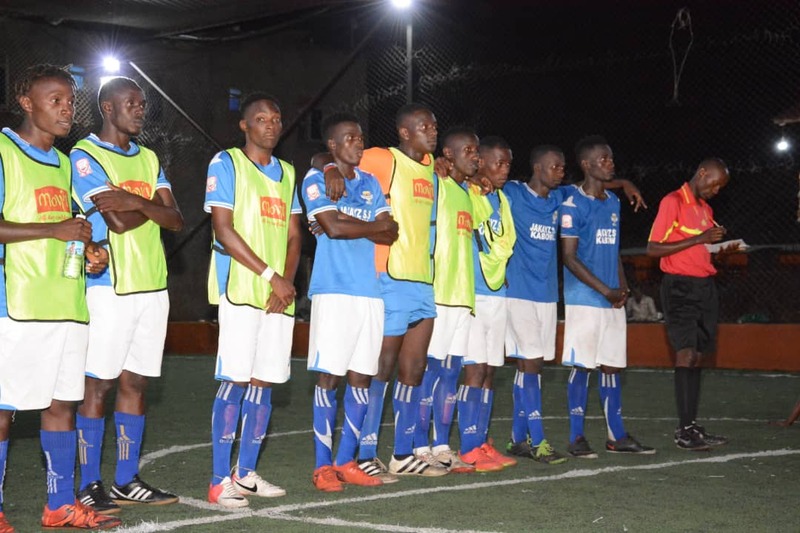 This was confirmed on Thursday evening as the two sides required penalties to dispatch Bajim and Yeak Kabowa at the International Futsal Courts in Mengo. Moses Lubega and John Ssegawa scored once each for Dream with their third goal coming via a Franco Sunday own goal. Bajim’s Derrick Mubiru (left) tries to get past John Ssegawa of Dream on Thursday. For Bajim, it was Ibrahim Kamya, Titus Ssematimba and Franco who struck the goals for them. 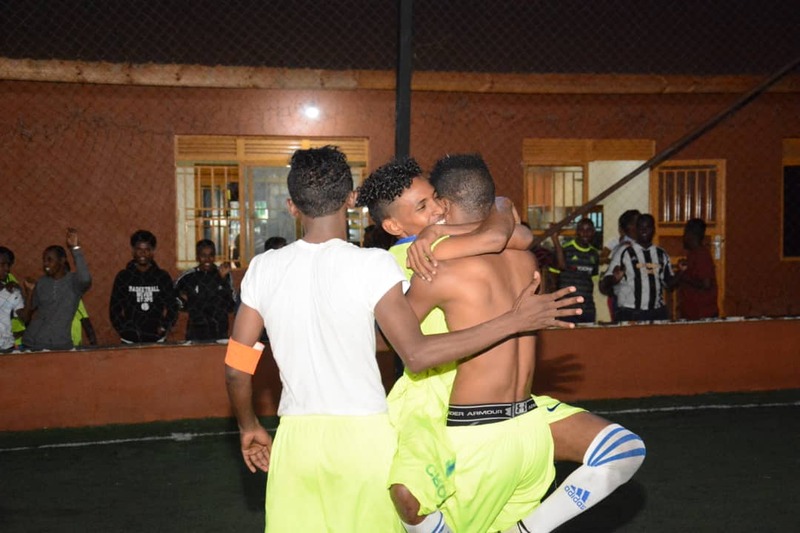 In the shootouts, it was Dream who would triumph, converting four of their spot-kick while Bajim missed twice, for the 2017/18 Futsal Super League champions to win it 4-3. Dream’s finals’ opponent comes in form of a Crown side that eliminated Yeak Kabowa on the same day. Abdi Abdullahi and a Joel Musasizi own goal were all that Crown required to force a 2-2 draw in normal time while top scorer Enock Ssebagala helped himself to a brace for Yeak. The shootouts saw Crown convert thrice while Yeak scored only two of their five kicks. Yeak players look on during the shootouts. Yeak’s elimination means that their dream of winning a League and Cup double is now off and they will now have to shift all their attention to the league, which they lead by four points with 7 games to play. The final will be played on the 9th of May, 2019, the same day Yeak and Bajim will play their third place playoff game. Yeak’s Enock Ssebagala tops the scoring charts with 7 goals, two ahead of Typhoon’s Roger Mato and Abdi Abdullai of Crown.